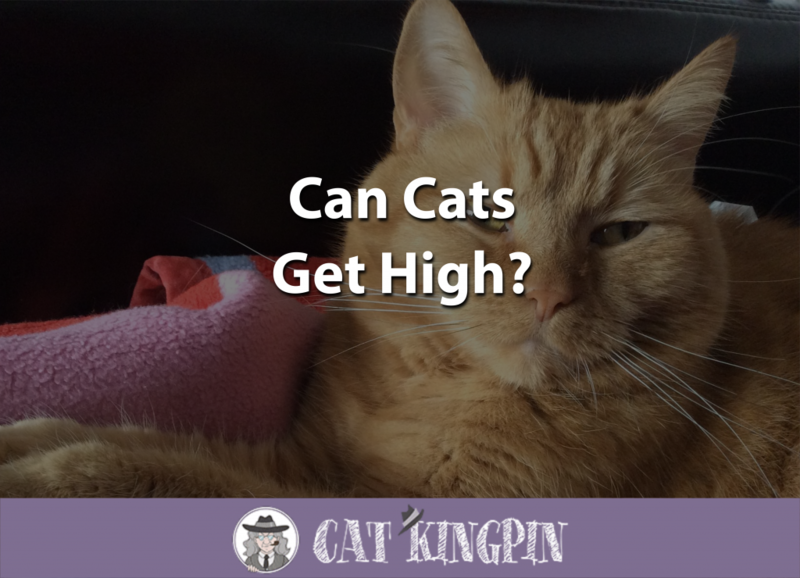 » Can Cats Get High? Anyone who has given their cat a bit of catnip knows the answer: yes, cats can definitely get “high.” But often times when seeking out the answer to this question, the cat owner doesn’t necessarily have catnip in mind. Many cat owners want to know if their cat can get high with the marijuana plant, either by eating it or by inhaling the fumes. The facts about cats and marijuana are pretty simple. Marijuana, despite the fact that it’s a plant and can be found in nature, is absolutely not safe for cats and all responsible cat owners should take great care to make sure their cat never gets a hold of it. Can Cats Overdose on Weed? Can Marijuana be Used as Pain Relief for Cats? Tetrahydrocannabinol, more commonly known as THC, is the active ingredient in marijuana. In human beings, it can provoke everything from a sense of calm, hunger, elation, and severe anxiety. While marijuana is legal in some U.S. states and can have medicinal benefits for human beings, marijuana is absolutely not safe for cats. In fact, just as human beings do not “get high” when sniffing catnip, marijuana does not produce a high-like state in our feline friends. In fact, it can only do them harm. No, we’re not talking about jumping high, we’re talking about getting high off of the same narcotics that people use. 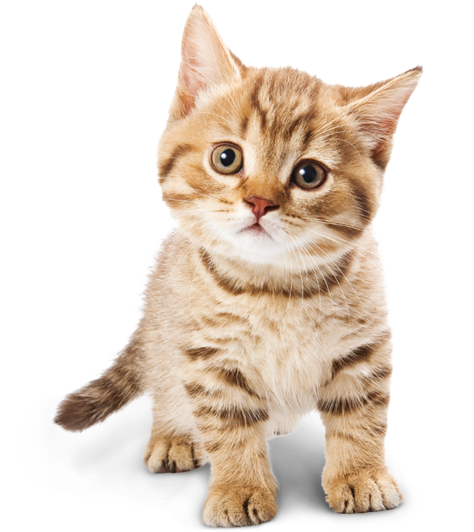 When cats ingest or inhale catnip they feel the effects of nepetalactone. This is the chemical compound that either sedates or excites them (depending on the cat). Not all cats are sensitive to nepetalactone. Because nepetalactone sensitivity is a genetically-inherited trait, some cats won’t be interested in catnip at all and won’t experience any altered feelings after eating or smelling it. This can be described as a sort of “high,” and giving cats catnip is one of the joys of being a cat owner! These cats are getting high the safe way: with catnip! No, cats can’t eat weed. In fact, ingesting marijuana can make your cat very sick! According to the ASPCA, owners calling the ASPCA poison control hotline because their pet has accidentally ingested marijuana have grown exponentially in the past few years. Store your edible marijuana someplace where your cat absolutely can’t reach it, preferably under lock and key. Don’t offer your cat a taste, even if they seem curious. It’s your job to make sure your cat doesn’t ingest any! If you suspect your cat has gotten into some edible marijuana, or have nibbled a plant, watch them closely for any adverse reactions and take them to the vet if they show any signs of illness, including vomiting. Since cats like to eat grass, some will try out any plant. Cats can’t “overdose” on marijuana because there is no safe “dose” to begin with. There have been instances in which pets, including cats, have died after ingesting food or baked goods laced with marijuana. Cats can’t tell the difference between a normal cupcake and a cupcake that contains marijuana, and if left unattended they are likely to eat quite a bit. Cats who ingest or inhale marijuana make seem “drunk,” i.e. impaired and lacking coordination. If your cat seems unsteady on their feet and you suspect they’ve ingested or inhaled marijuana, take them to the vet immediately. Cats who ingest or inhale marijuana may seem sedated, tired, or lethargic. You may even have trouble waking them up. If you notice any of these signs, bring them to the vet immediately. Another sign of marijuana toxicity in cats is urinary incontinence, so if you’re missing some of your stash and your cat is suddenly peeing everywhere, that could be the reason. Elevated heart rate. While this may be hard for you to detect at home, marijuana can also be a stimulant to some cats and can raise their heart rate to dangerous levels. Such a high heart rate, also called tachycardia, can be dangerous and even deadly for your furry friend. Luckily, most cats don’t like the taste of marijuana. If the marijuana is added to something else like food your cat isn’t eating it because of the marijuana but because of the other ingredients. Even luckier, most cats hate the smell of smoke and will avoid you if you are smoking marijuana. If you engage in this activity, it’s best to do so far away from your cat. Catnip “overdoses” are much safer… and hilarious! Because medical marijuana is used to treat pain and reduce the effects of serious illnesses in human beings, many cat owners wonder if marijuana can be safely used to treat chronic pain in their feline friends. The short answer is “no.” Not enough research has been done to be able to accurately predict whether or not marijuana can or should be used for pain management in animals, including cats. Veterinarians have not yet been able to determine what a “safe” dose of marijuana would be if a safe dose even exists. Experimenting with your cat’s health is always a bad idea, and even the tiniest amount of marijuana can be dangerous for your cat. If you are worried about your cat’s pain level, it is best to consult your veterinarian to find a solution to make your feline friend more comfortable. Don’t ever give your cat marijuana, edible or otherwise, because it is not safe and could make your cat extremely ill. So, Can Cats Get High? If you want to introduce your cat to a feeling of euphoria, you’re better off sticking to catnip. Marijuana does not help your cat in any way, won’t produce a “high”, and can be dangerous and even deadly to your furry friend. If you want something your cat can really get into, try these marijuana-themed cat toys. They’re filled with catnip so your cat can safely get high.